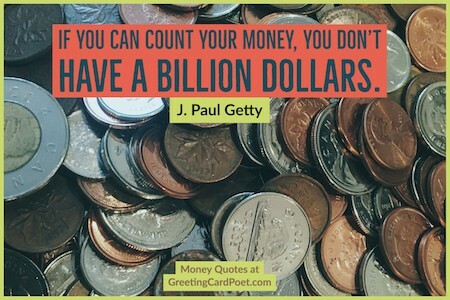 Here’s our fun collection of money quotes for those who appreciate a well-earned buck and the thinking behind it. From “A penny saved is a penny earned,” to “Shut up and take my money,” the talk of currency has made its way into our everyday lexicon. The list below is a compilation of some of the best insights and sayings on the topic. Enjoy! 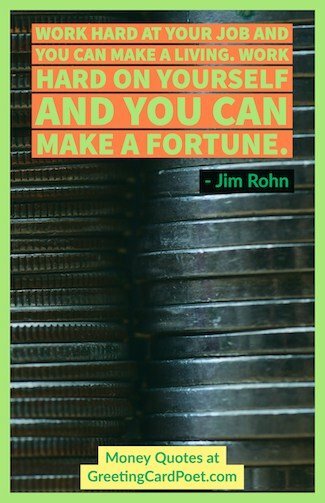 Before you can become a millionaire, you must learn to think like one. You must learn how to motivate yourself to counter fear with courage. Get money, still get money, boy, no matter by what means. Making money isn’t hard in itself. What’s hard is to earn it doing something worth devoting one’s life to. Save one-third, live on one-third, and give away one-third. Money is like a sixth sense and you can’t make use of the other five without it. I don’t care half so much about making money as I do about making my point, and coming out ahead. Wealth is largely the result of habit. 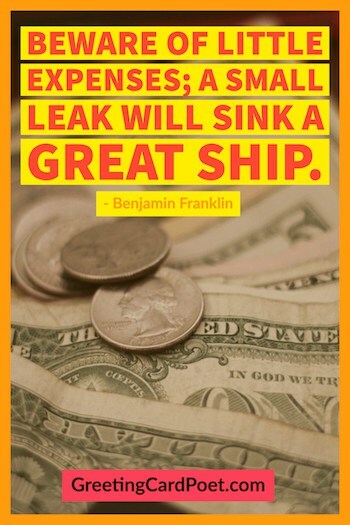 Its simple arithmetic: Your income can grow only to the extent that you do. 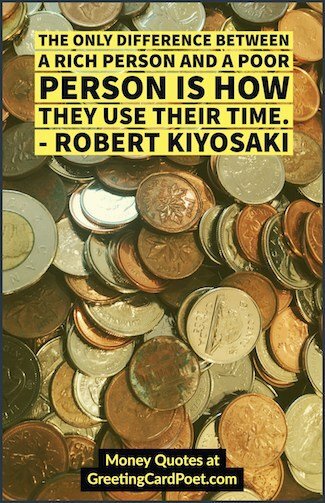 You only have so many hours in a day, let others make the money for you. 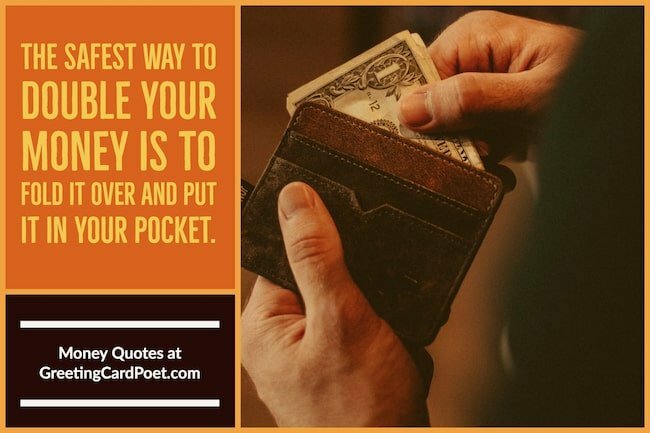 Tip: These money quotes may make nice additions to graduation cards for high school and college graduations. Born with a silver spoon in one’s mouth. Pay an arm and a leg. Put in one’s two cents. Capital as such is not evil; it is wrong use that is evil. I don’t want to be in a position where I’m playing roles I’m comfortable with and making money, but doing it without feeling like I’m growing.